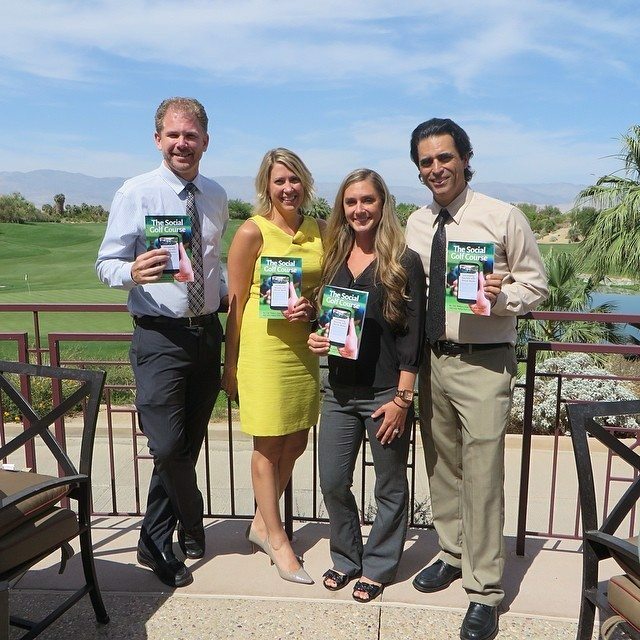 Amy Spittle, Regional Sales and Marketing Director at KemperSports Golf Course & Hospitality Management invited John Hakim from Greenskeeper.org and Zeb Welborn from 19th Hole Media were invited to present at the KemperSports Regional Meeting held at Desert Willow Golf Resort. In our presentation we discussed our book, The Social Golf Course and its implications for the golf course industry. We shared ideas on how employees can take part in the social media strategy at a golf course, how to use Facebook and Twitter, how to evaluate the ROI of social media, how to increase followers and a brief Q&A session. KemperSports has an award-winning portfolio that includes nationally-ranked courses and tournament venues. They work to develop and manage a broad range of private clubs, golf resorts, public golf courses and municipal golf courses. They have expanded their management expertise to include conference centers, lodging operations and recreational facilities. KemperSports continues to be a family-owned business with over 5,500 employees. They’re based in Northbrook, Illinois and operate regional offices in Northern California, Southern California, Dallas, South Florida and Maryland.